The passion for fishing was handed down by Nicholas’ father, who to this day is one of his best fishing buddies. Growing up in Connecticut, they spent weekends chasing trout, bass, and chain pickerel in the many ponds and streams around their hometown. 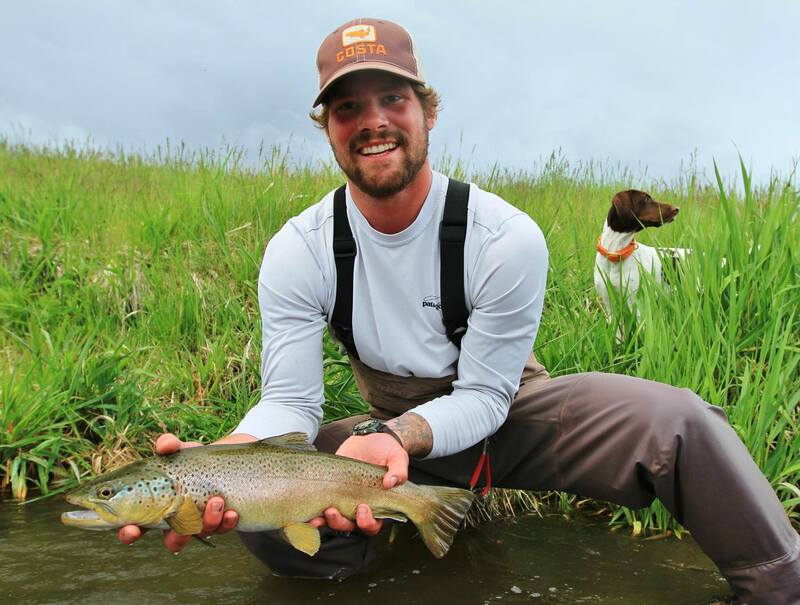 Leaving the spin fishing gear behind in Connecticut, he enrolled in a fly fishing course as a freshman at the University of Utah in 2009. 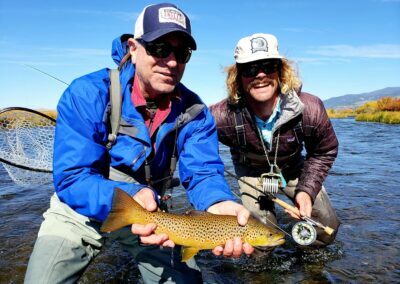 With his English professor mentor, and the helping hands at the local fly shop in Salt Lake City, Nicholas’ enthusiasm to learn was unparalleled. He spent weekends and summers exploring the rivers in Utah, Wyoming, Montana, and Idaho, tying flies, and reading anything related to the sport. Immediately upon graduating, Nicholas packed his bags for West Yellowstone, landing a summer job working maintenance at the Firehole Ranch. Days off were spent exploring the Madison, Henrys Fork, and Yellowstone National Park. Time on the water and his ambition to learn the fishery didn’t go unnoticed, as he quickly transitioned into guiding. Nicholas has his sights set on guiding the salt water flats of the Florida Keys, where he has spent the last few winters studying the water in search of bonefish, permit, and tarpon. In 2019, he joined the guide staff here at Big Sky Anglers. 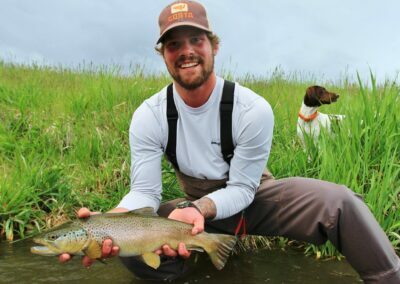 Nicholas has an infectious and encouraging enthusiasm for fly fishing and instruction, which makes him truly stand out from other guides in the area. He is one of those guides that continually looks for exciting fishing opportunities outside of the main events that draw the most pressure and the most attention. He seems to pop up in places that few other guides know about and be pursuing fishing experiences that usually only veteran guides are aware of.